I love graphic novels, and this one caught my eye in Canty’s a couple of months ago. 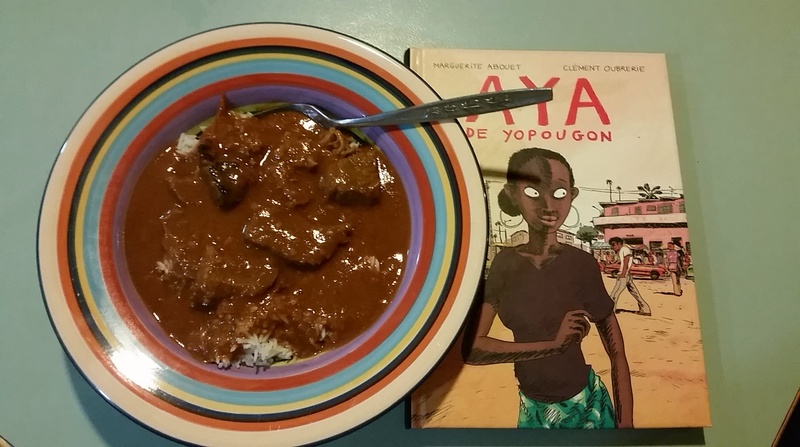 I’d never heard of any African graphic novels, and, always interested in reading diversely, I was intrigued. 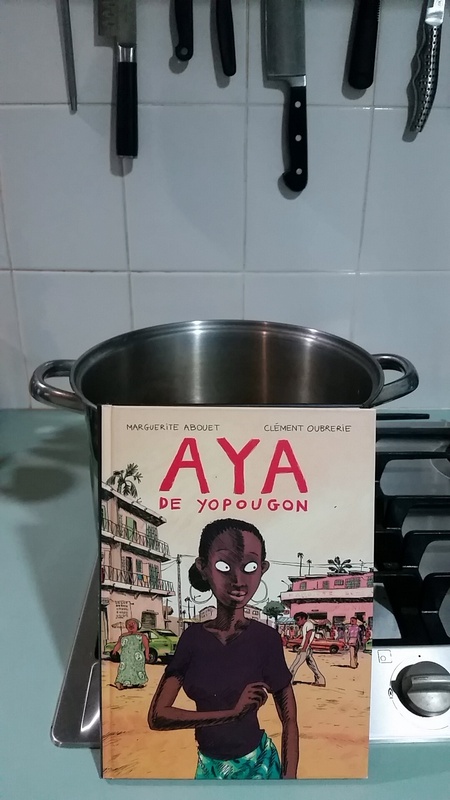 “Aya”, written by Marguerite Abouet and illustrated by Clément Oubrerie, was translated from its original French and is set in the Ivory Coast in the late 1970s. This African nation was undergoing a period of exceptional prosperity following independence in stark contrast to many of the other countries in the region. “Aya” is about the eponymous protagonist and her friends living in “Yop City” as the economic boom draws to an end. Aya is a level-headed and ambitious teenager who is often called on to help her more foolhardy friends who get themselves into all kinds of mischief when it comes to boys. This book was probably one of my better finds this year. It was such a fabulous, humorous and heartfelt snapshot into a time and a culture that I otherwise wouldn’t have known anything about. “Aya” is filled with cultural insights and explanations and all of the colourful cast of characters burst off the page around the more reserved and sensible Aya herself. My absolute favourite part of the book is the gorgeous touch of adding pages at the end sharing instructions on how to engage with pieces of Ivory Coast culture including wearing a pagne, sashaying while you walk and traditional recipes. 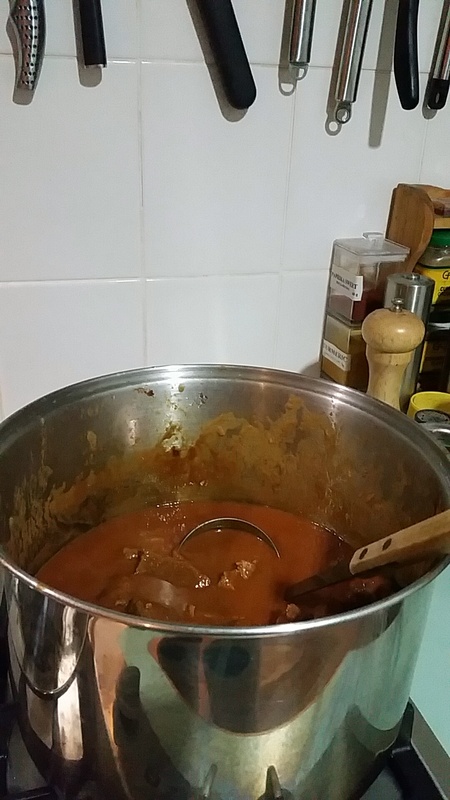 I adore trying new recipes, so I decided to have a go at the Peanut Sauce recipe – a sort of beef stew with peanut butter and tomatoes. The critics gave it rave reviews, including “not too bad” and “pretty edible”, but I thought it was pretty good! I think the only thing that perhaps lets this down is that the art is sometimes a little underwhelming. It’s almost too cartoony for my taste, I think, and maybe doesn’t quite capture the spirit and nuance that the author clearly inlaid in the story. “Aya” is really something you don’t see every day. 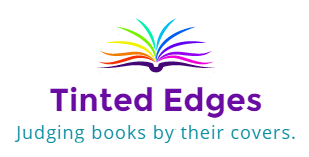 I learned so much reading this book and engaging with the recipes at the back, and I’m definitely going to be keeping an eye out for the other installments in the series.